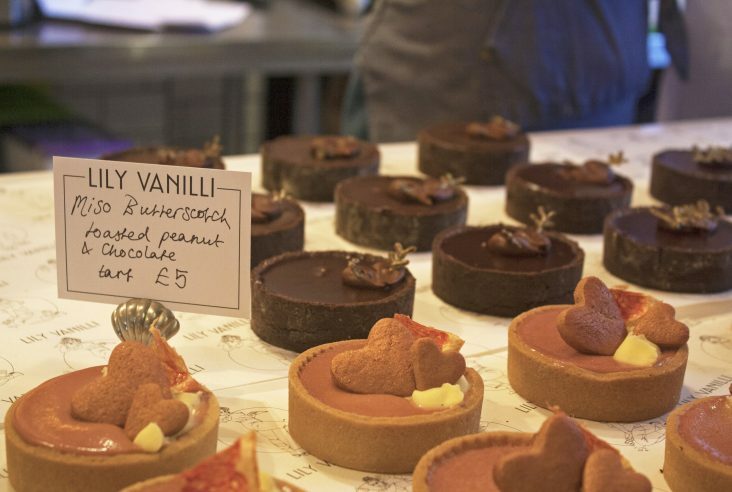 I love a good excuse to discover a little more about London, especially when it’s about crossing incredible places off my Ultimate London Bucket List. 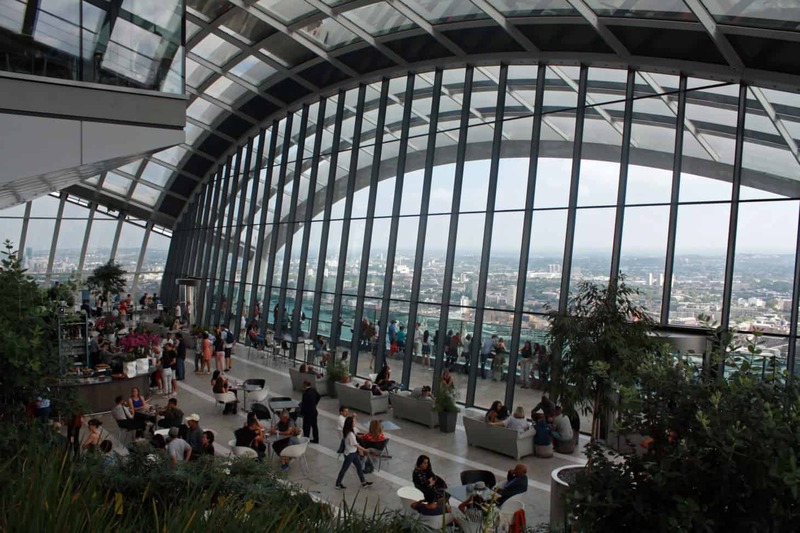 Sky Garden has undoubtedly become one of London’s most sensational attractions. 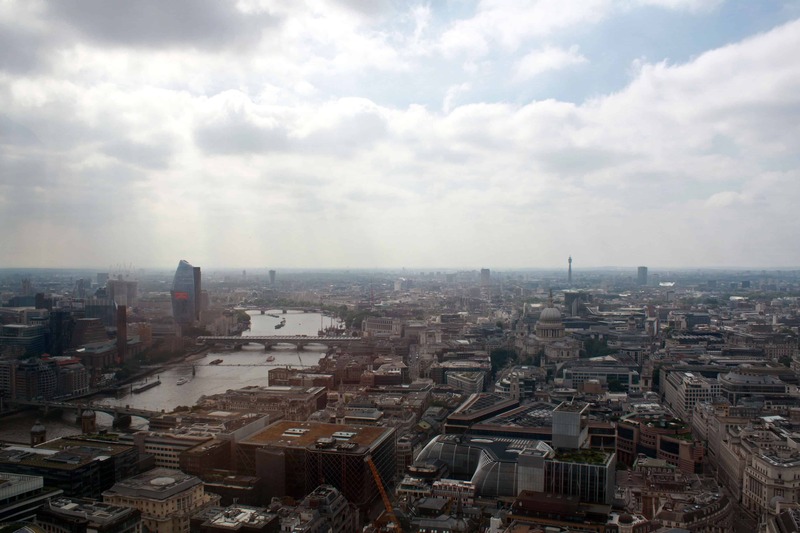 Standing at the top of The Walkie-Talkie, it is the city’s highest public garden. 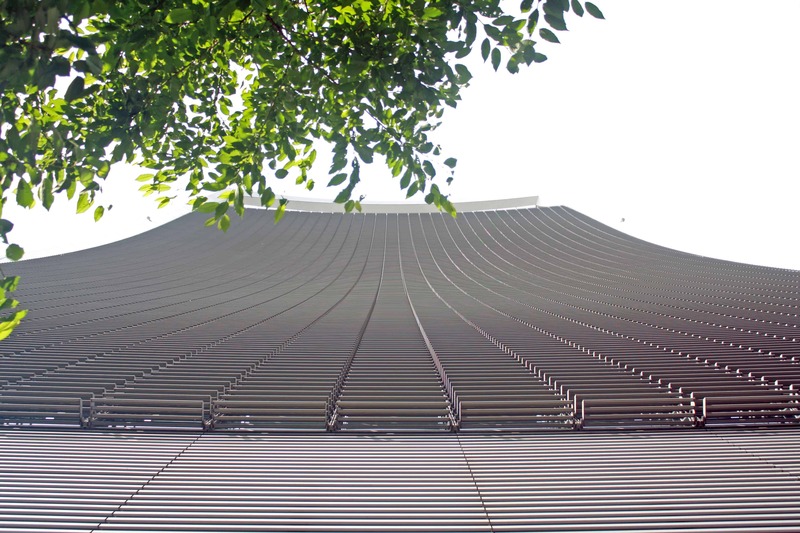 At 160m high, the three-storey glass and steel dome combines stylish restaurants and bars, 360° observation decks and long stairs surrounding the sloping rain-forest style garden. 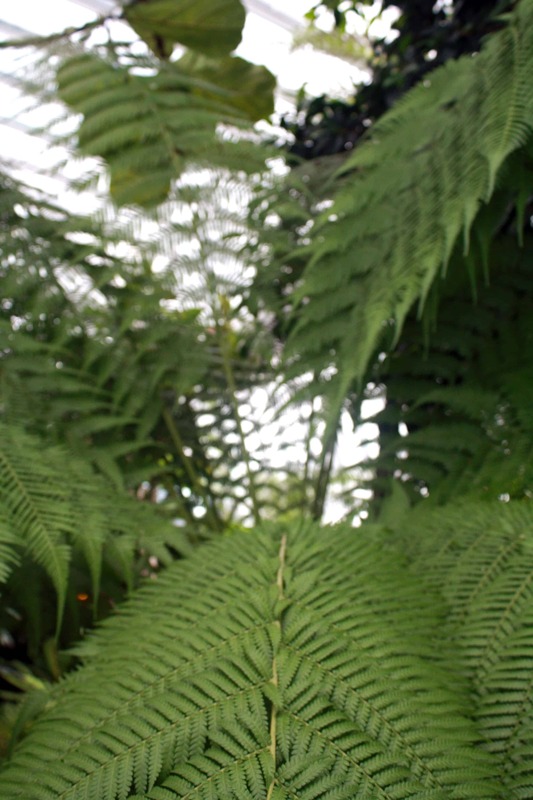 Among the palm trees, ferns and moss hide a plethora of tropical flowers such as Agapanthus and Birds of Paradise, both of which we had seen on our trip to Madeira just a month before! 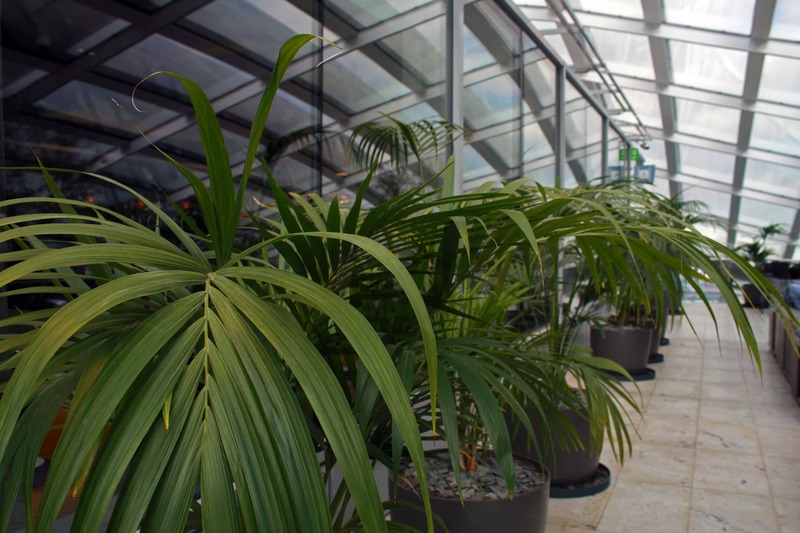 Outside the conservatory, a long open-air terrace faces The Shard, offering fantastic bird-eye views of south London. 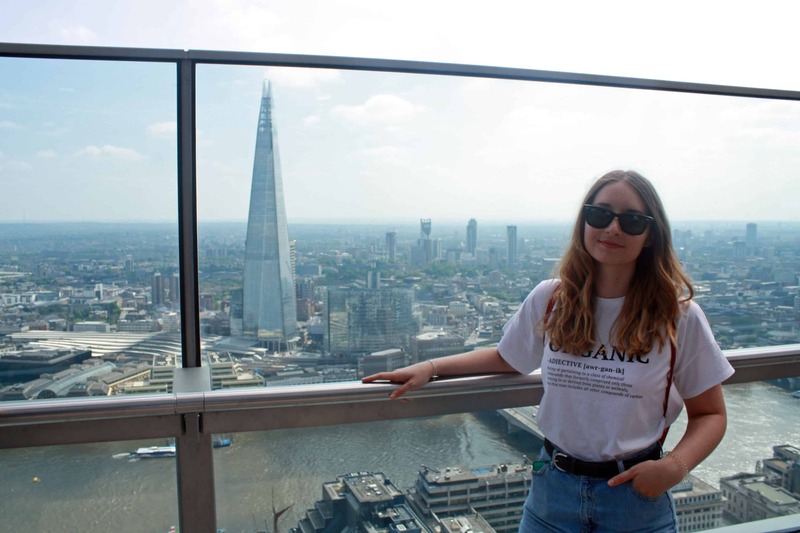 Although it stands roughly at half of The Shard‘s height, many argue this is perhaps why Sky Garden shows a better perspective of London’s skyline and most iconic landmarks. 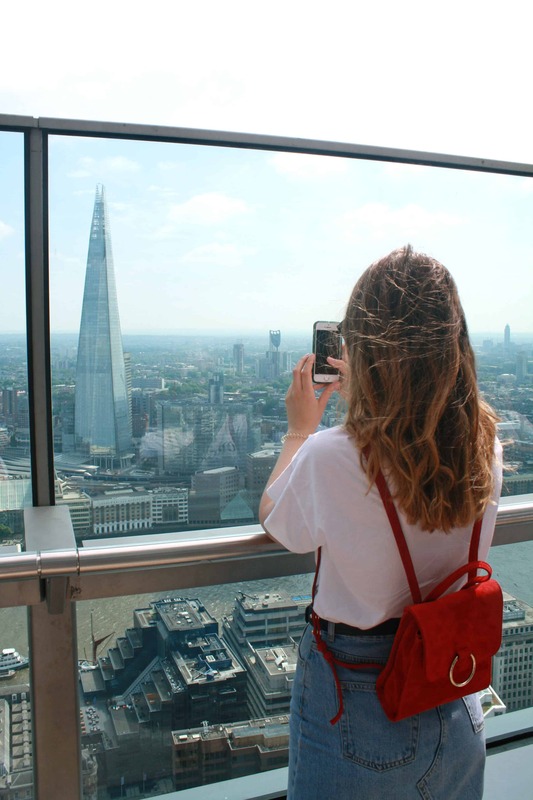 From both the platform and inside observation decks, you get sweeping views of the River Thames running across London and many of its emblematic buildings. The Tower of London and Tower Bridge, Canary Wharf, St. Paul’s Cathedral, The Cheesegrater, The Gherkin and even Wembley Stadium become perfectly visible on the horizon. The best part of it all is that you can enjoy all this scenery for free! 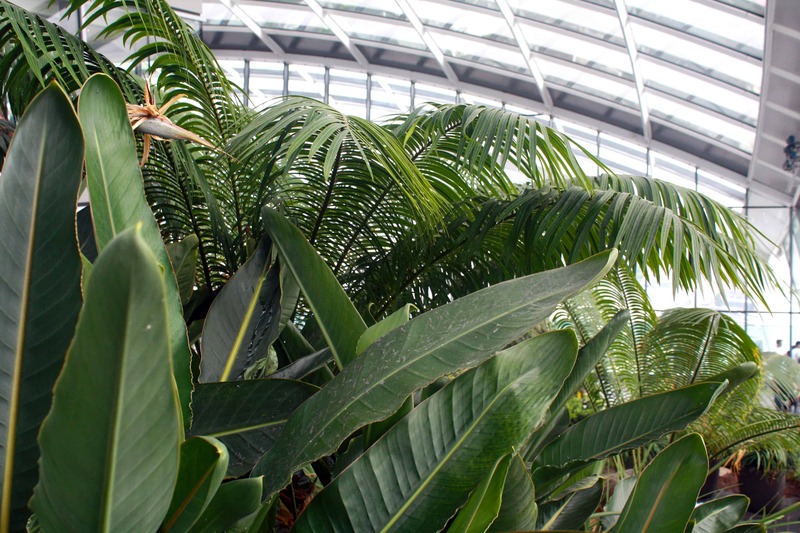 Sky Garden offers multiple 1h slots every day allowing you to explore the glass dome and balcony. 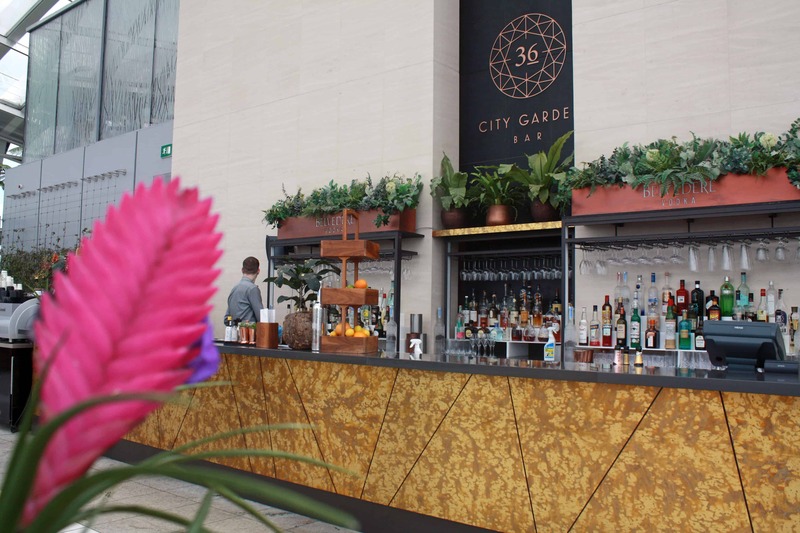 You can also enjoy a drink at any of the two bars (Sky Pod Bar and City Garden Bar). However, make sure you book in advance as slots tend to fill up insanely quickly! 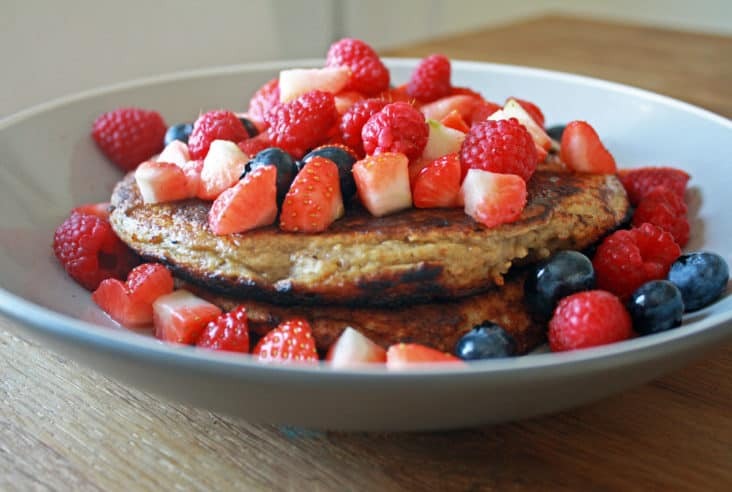 Early morning, a yoga class and breakfast from the heights is also available for booking. With such a magnificent panorama, Sky Garden is undeniably one of the best dining locations in London, especially at night. Once the last slot has been covered and tourists have left, the dome gets filled with live music, cocktails and delicious food at the bars and their three restaurants (Darwin Brasserie, Fenchurch Restaurant and Fenchurch Terrace). Definitely the perfect spot to enjoy London’s nightlights from above! 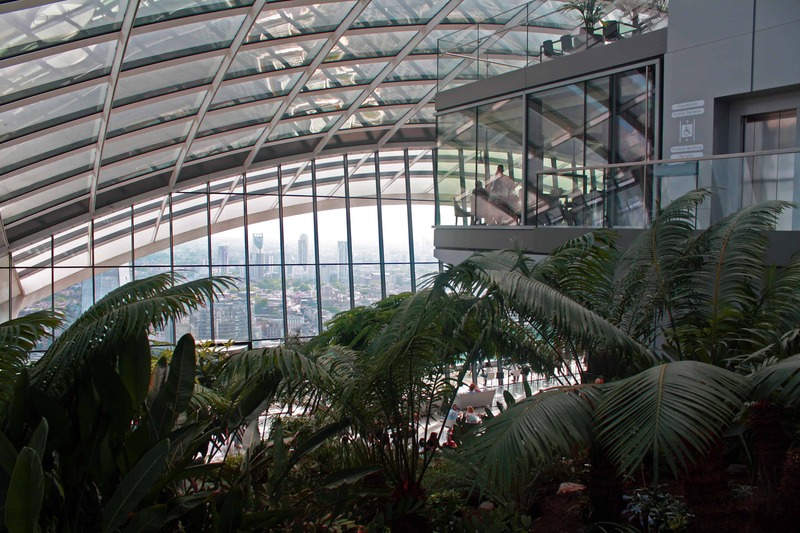 What do you think of the views from Sky Garden? Have you been before? Tell me all about your experience in the comments! Looks a great place – you’ve inspired me to want to go. Glad to have the advice about a free one hour slot. Thanks Jane 🙂 It is such a lovely place, definitely worth visiting! Great photos ☺️I’ve been here once but would love to go back as it was such a cold windy day when we went! Aaaaah I’d love to visit the Sky Garden!! Every time I go to book it’s always fully booked up – gutting! Fab post! 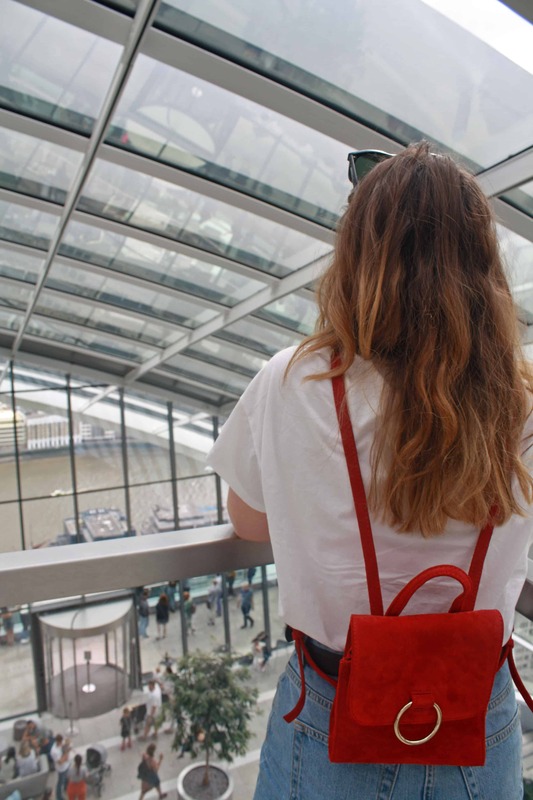 I loved my visit to the sky garden last year… such a fab photo session 🙂 I loved seeing all the views and landmarks of London. What a fab pic of yourself with the shard! I’ve wanted to go here ever since I first heard about it! 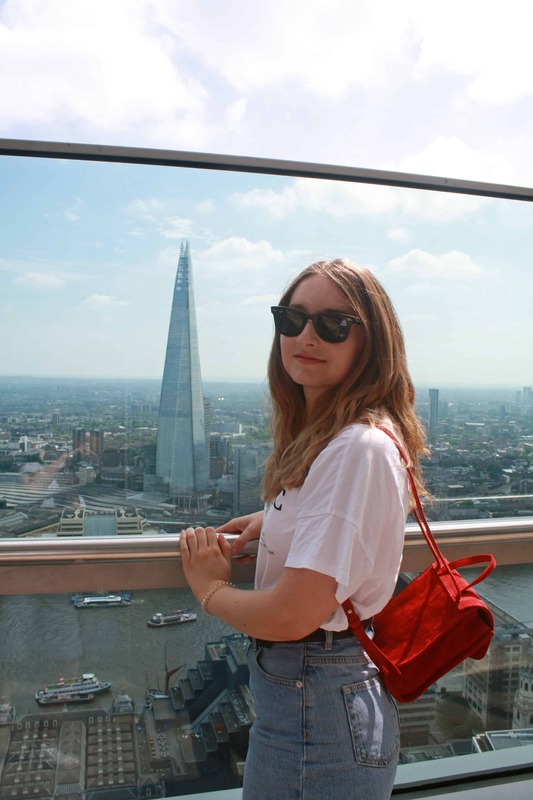 I absolutely love visiting London and getting to see the sights so having such beautiful views would be a dream for me! I’m not sure how much I’d be able to enjoy it being absolutely petrified of heights but I still want to go! Your pictures are stunning! The view is amazing… Tell me, does it really have a forest inside!!! Great post! 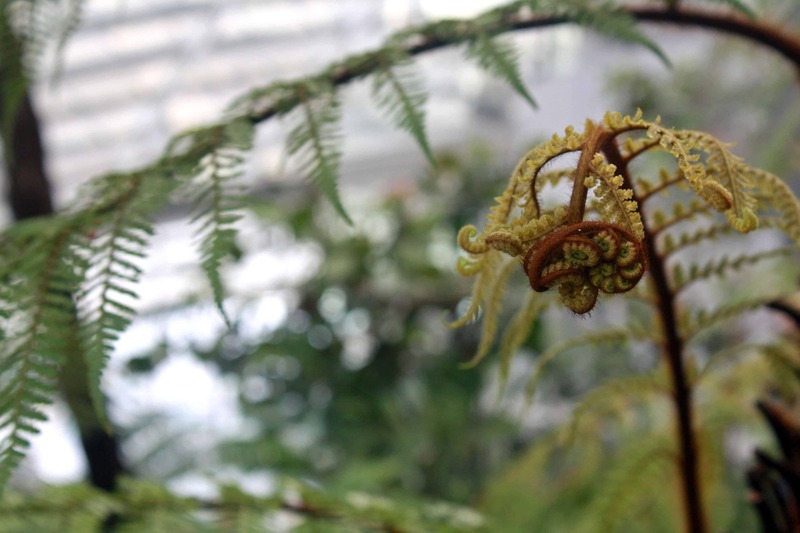 I went to the sky garden in May and thought it was incredible! Unfortunately we couldn’t go on the outside terrace because the weather was so bad, the view wasnt the best either but it’s just a good excuse to go back! 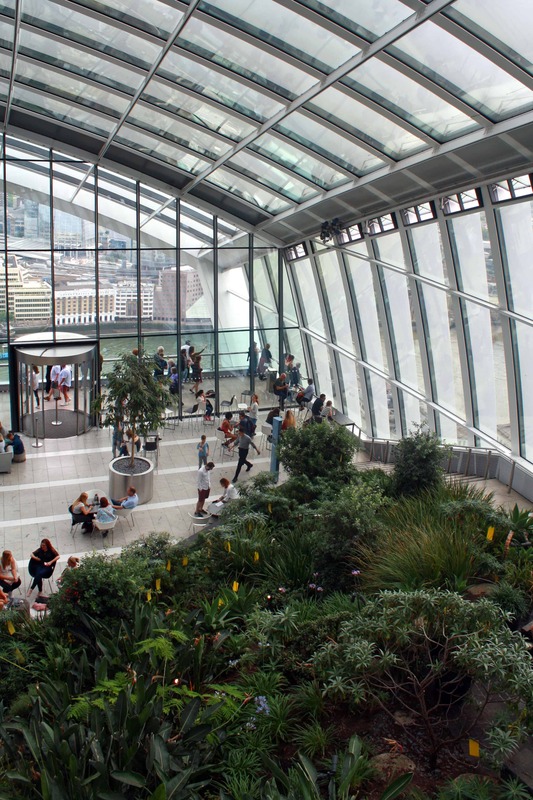 Oh my goodness, this looks incredible – London is one of my favourite cities in the world and I cannot believe I didn’t even know the Sky Garden exists! Thank you so much for sharing and for these incredible photos – it’s now next on my list of places to check out next time I’m there! I just went to London in May on holiday and fell in love with the city. 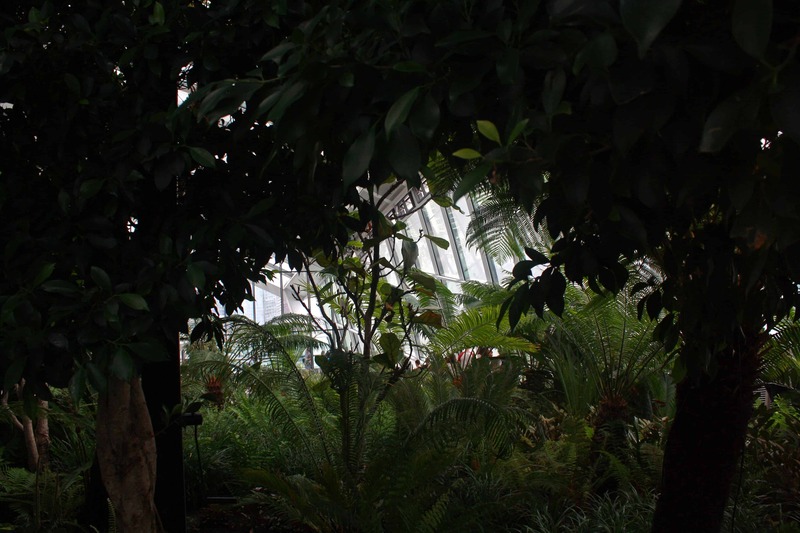 I did miss out on the Sky Garden though and every time I see it I regret not going. Hopefully I’ll get back to London one day and be able to check this out. Such a beautiful post. Ravishing! Ooo that looks fun! My friend and I are planning on a Dublin/London trip this coming fall. Wil most definitely try to stop here! Thanks for sharing! I’ve not heard of this place before. Amazing that it’s free, it sounds awesome! It took me loads of tries to get a spot, I was never fast enough! I went there with my brothers in July on a weekday – a lot less crowded – and last week with my boyfriend, but due to the poor weather the balcony was closed. Still amazing view of the skyline, though.